The visual appeal of hardwood floors is unmistakable and the market value it can add to your home is indisputable. When you are seeking a major renovation that turns your home into a showpiece hardwood floor installation might be the solution. There are a multitude of wood varieties currently on the market to select and Naperville Hardwood Floor Refinishing has the expertise and years of experience to provide you with installation that is beautifully executed. When you’re looking for “wow” factor and a unique customized choice of flooring, nothing else compares to hardwood floor installation. You will have a flooring with a long lifespan that is a beautiful attraction in your home. When you choose hardwood floor installation, you have the benefit of knowing that your floors will last a lifetime. With regular care and maintenance your hardwood floors can last for generations and that is just not possible with textiles like carpeting that eventually wears thin, tears and develops holes. Hardwood floors have the advantage of withstanding heavy foot traffic and when they are expertly installed you have the peace of mind in knowing they won’t deteriorate or warp like some cheaper flooring and when temperatures rise and fall, you rooms will still be comfortable. 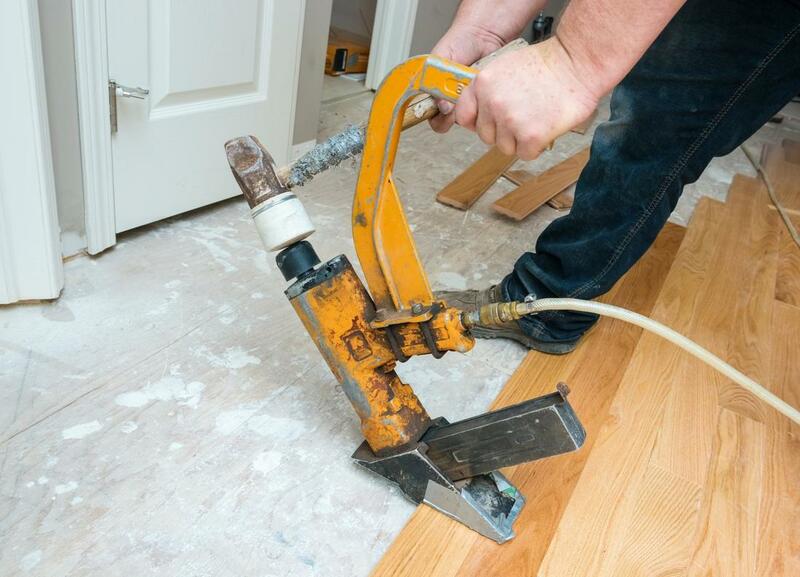 The long lifespan of your flooring will make the expense more than worth the money you spend. Naperville Harwood Floor Refinishing can introduce you to a multitude of hardwood floor options. The choices might be overwhelming without the expertise of a hardwood floor contractor. We have access to a large stock pile of samples that can match any aesthetic you might have for your home. There is no other material that provides you with the wealth of choice that can make your home look rich and tradition or modern and unique. Yet hardwood has the advantage of being a timeless material that is adaptable should you decide to change the interior of your home. Unlike carpeting, hardwood offers more flexibility and versatility in style. Many homeowners will often choose a flooring based on whether a material is easy to clean, repair and maintain. Hardwood flooring has this benefit where as material like carpeting must be routinely professionally cleaned when spills happen or if pets have accidents. You may be faced with permanent stains and odors that will never leave your house until the carpet is removed. As for flooring like linoleum, you will likely need to buff and wax this type of flooring which can take up far more time than you have. Or you will need to hire a professional floor cleaning expert to ensure the flooring is properly restored after heavy foot traffic. Our hardwood floor installation offers a lifetime of beauty and very little maintenance. Naperville hardwood flooring is an established presence in the region and industry and we are well known for our top rated craftsmanship as well as our access to a large variety of wood species that create a stunning effect in your home. Whether you require a hardwood floor installation in one room or your entire home, we have the skill and experience you need for a stunning effect.